In the ’90s David Boreanaz (Bones, Seal Team) was well known as “Angel”, the vampire with a soul, on both Buffy the Vampire Slayer and later the spin-off, Angel. October 5, 2019, will mark the 20th anniversary of the show. On Mar 19, Boreanaz was a guest on the day time show, The Talk where he hinted about a possible Angel reunion. 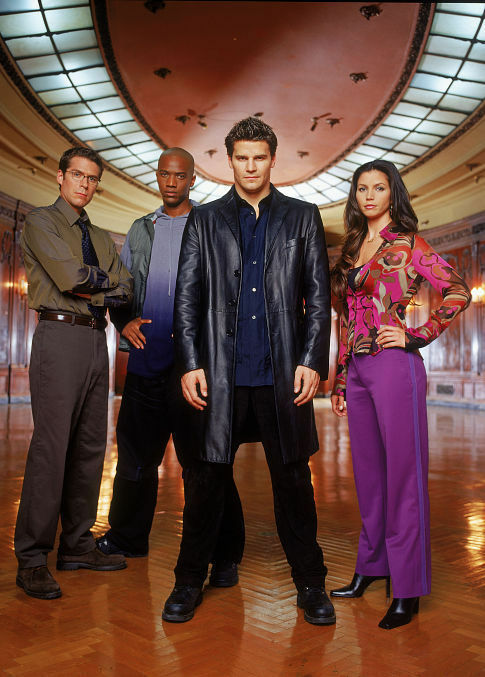 Angel also starred Charisma Carpenter, Alexis Denisof, J. August Richards, Amy Acker, James Marsters, and Mercedes McNab.
.@David_Boreanaz hints about 'Angel' reunion for 20 year anniversary. Angel seasons 1 – 5 can be streamed on Hulu!